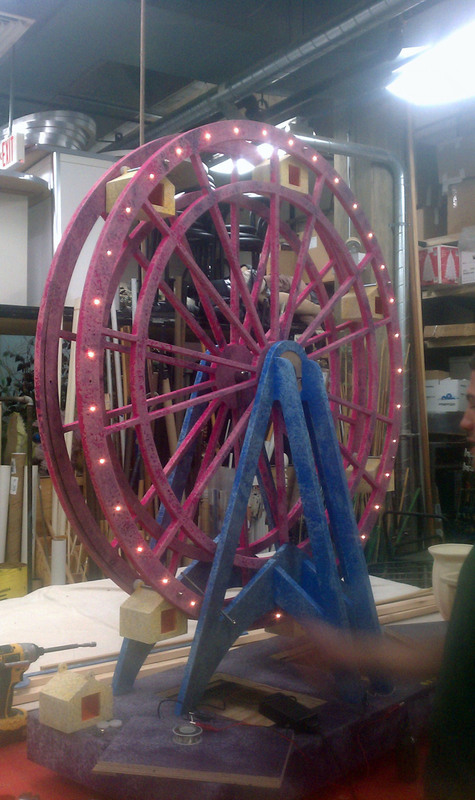 The design team wanted a miniature working model of a Ferris wheel to be used onstage. 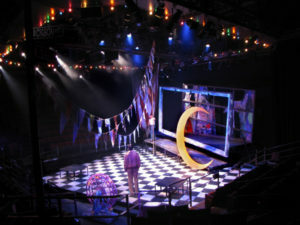 In addition to it working, they also didn’t want any cords coming off of the piece as it was rolled onstage. Working with the light shop, I was able to come up with a plan for the pieces and assembly process. The Ferris wheel rings we’re build with channels and slots in the the back to hold the incandescent rice lights. We attempted to build our own slip ring for the lights but ended up purchasing a slip ring after a few failed attempts at using materials found in the shop. 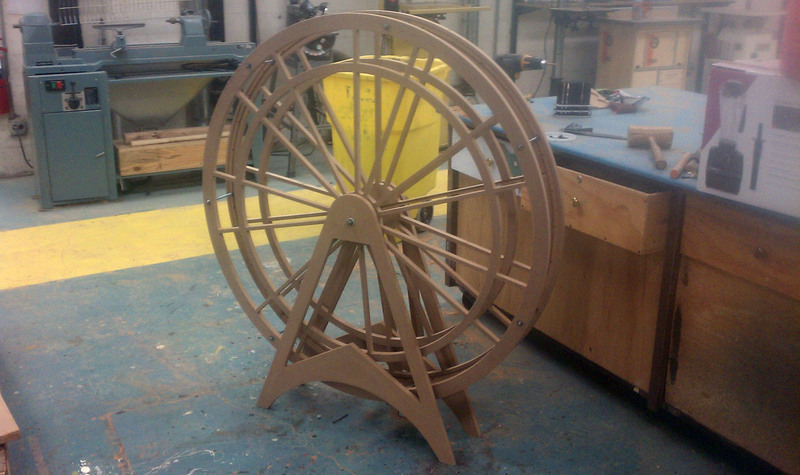 The wheel itself rotated with the use of a stepper motor and a friction wheel at the bottom. The light shop hooked everything up via batteries and wireless DMX, including speed control of the rotation.